Employees who work with power tools and heavy machinery face many dangers on the job. 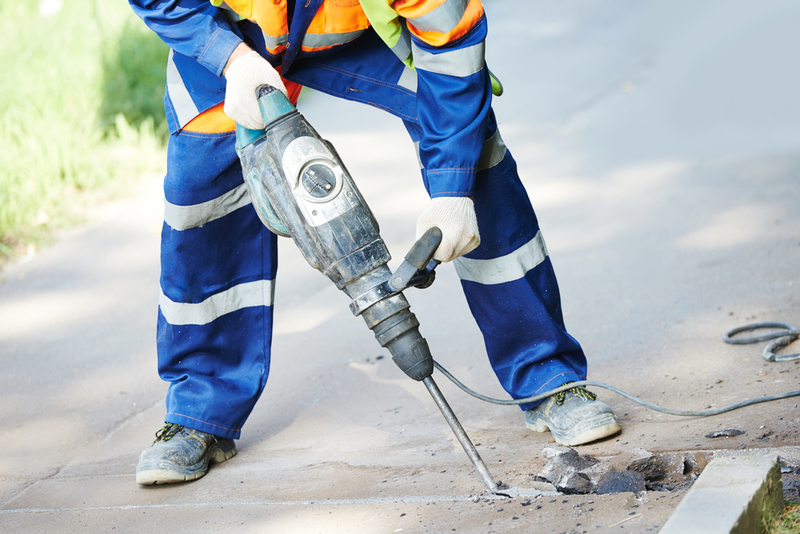 One potentially debilitating condition is Hand-Arm Vibration Syndrome (HAVS) that workers who regularly use vibrating power tools can develop. Workers who suffer with this condition must take time off work to heal and face the real danger that they will suffer permanent damage to their arms, hands, and fingers that can cause them to become permanently disabled. Fortunately, they may be entitled to payment of their medical bills and lost wages under New Jersey’s workers’ compensation. Who Is at Risk of Developing HAVS? Nerve symptoms. Feelings of pins and needles and/or numbness in one or more fingers are usually the initial symptoms a worker will experience. The symptoms can be mild and could emerge periodically. Over time, the symptoms can increase in severity and develop into permanent numbness of the affected fingers. A worker who develops this can become clumsy in the use of his fingers and in doing fine tasks. Picking up small objects like coins and nails and fastening buttons can become challenging. Raynaud’s phenomenon symptoms. This is also known as white finger and comes on in spells that are often triggered by cold weather or touching a cold object. Often the person’s fingers go from white and cool to bluish in color and then red as the blood vessels constrict, the oxygen supply gets used up, and then the blood vessels expand. Not all people experience all the finger color changes. Symptoms can also include uncomfortable, pale, cold fingers, tingling, throbbing, and pain. A bout of white finger can last for a few minutes or even a few hours. Aches and pain. HAVS can cause mild muscle, joint, and bone damage that can result in a person experiencing aches and pains in his hands and lower arms. He may also have a weaker grip in general. Progression of symptoms. Symptoms usually progress from bouts of nerve symptoms to bouts of Raynaud’s phenomenon that increase in frequency—especially on cold, wet, and windy days. As the condition develops, the person can experience permanent numbness and muscle weakness and wasting. How Is Hand-Arm Vibration Syndrome Treated? Stop using vibration tools. If symptoms are mild, stopping the use of vibration tools for a period of time may eliminate or reduce the symptoms. However, when symptoms are severe enough or there is a danger of them becoming permanent, a worker may need to completely stop using vibration tools, which could force a career change. Stop smoking. The chemicals in cigarettes can contribute to blood vessels contracting, which will make the symptoms of this condition even worse. Watch your other medications. Certain medications, like beta blockers, anti-migraine medicines, and decongestants can cause your blood vessels to narrow and trigger HAVS symptoms. You should discuss alternative medicines with your doctor if you believe they are causing your symptoms to increase. Caffeine. Caffeine found in coffee, tea, cola, and some medicines may trigger HAVS. If you suspect this is the case, try not using substances with caffeine for a few weeks. Keep warm. Since cold can trigger white finger, wearing gloves in cool weather is essential. It is also important to keep the rest of the body warm by wearing proper coats, hats, and scarves for the weather. If symptoms are extreme, a person may find a portable heat pack or battery-heated gloves useful. Don’t touch cold objects. Use a protective towel or gloves when you are touching ice cubes or something in your freezer at home. Exercise and physical therapy. A sufferer may need physical therapy to learn exercises to increase circulation to his hands and fingers. Medication. Nifedipine is a medication given to open the small blood vessels when a person experiences more severe symptoms of Raynaud’s phenomenon. Some people take it in cooler weather while others take it on a daily basis to minimize symptoms. If you are experiencing symptoms of HAVS, you should seek immediate medical care to avoid permanent damage to your hands, fingers, or arms. Obtaining workers’ compensation benefits may be essential so you can take time off from work to heal and stop using the power tools causing your symptoms. Keep in mind that you could be entitled to compensation for vocational training if you no longer can perform your job. Start an online chat with me today to schedule a free, no-obligation consultation to learn about all the workers’ comp benefits you could be entitled to.